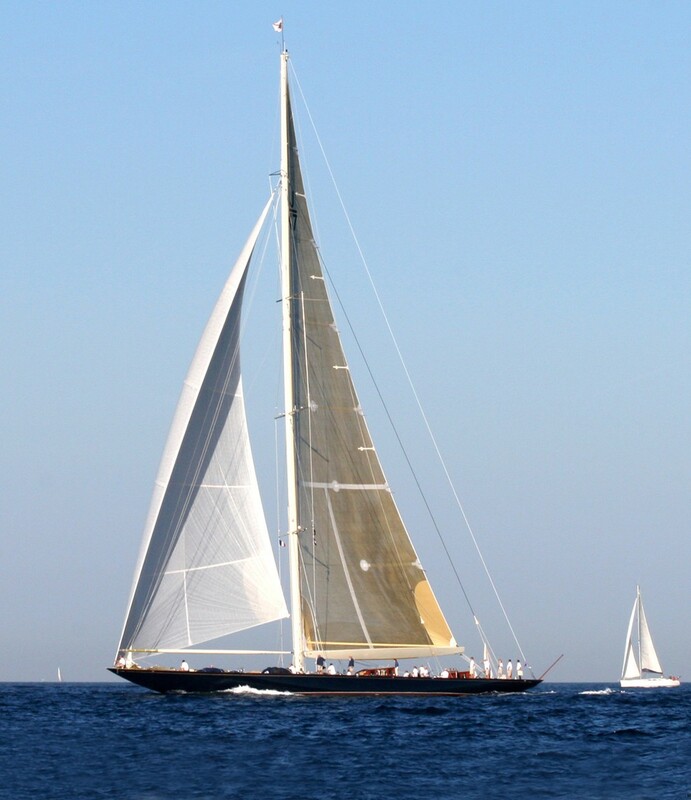 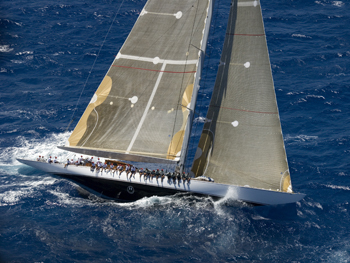 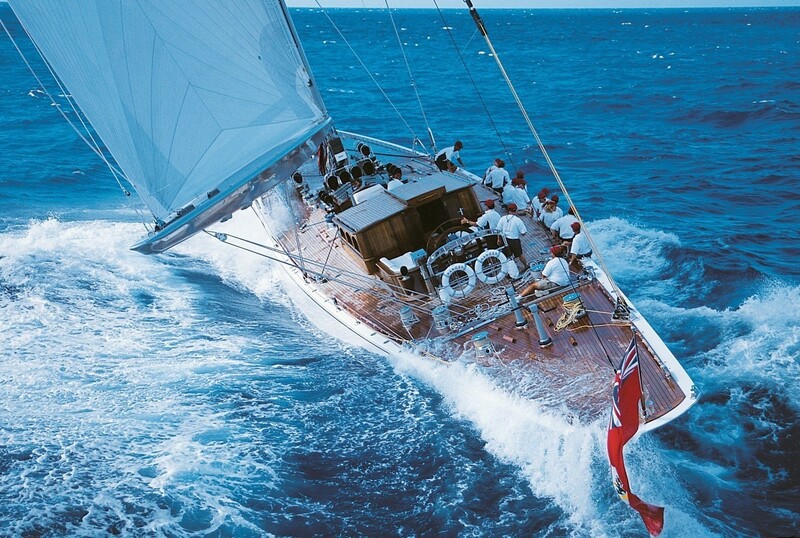 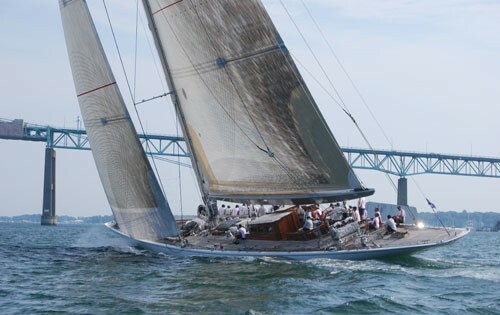 Sailing yacht RANGER is a 41.55m (136' 4") classic yacht built by Danish Yachts in 2004. 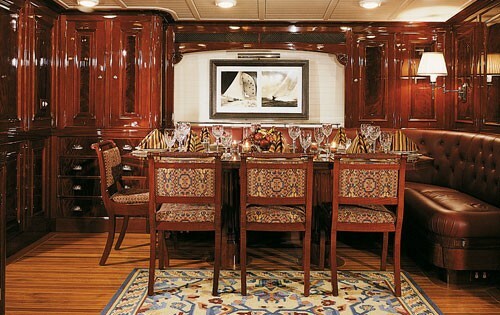 Her interior desing is by Glade Johnson Design, Inc. 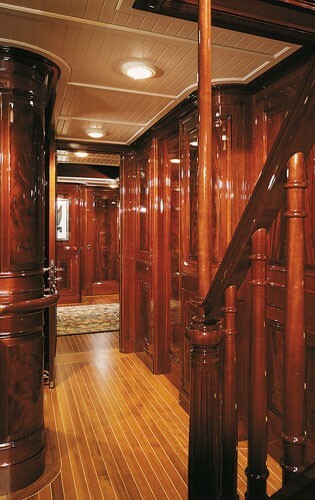 The quality of craftsmanship of RANGER’s deck is evident from the moment you step aboard at the transom and see straight teak planks with no joins all the way up to the traveler. 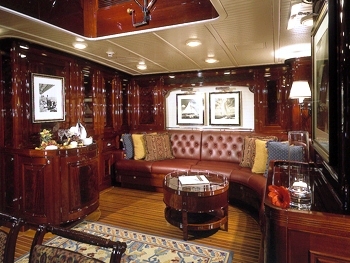 She features a cozy cockpit for up to eight with a teak table just behind the teak clad carbon fiber deck house which features glove leather seating on either side of the companionway leading below, accented by a beautiful teak hand rail culminating at a teak and holley sole. 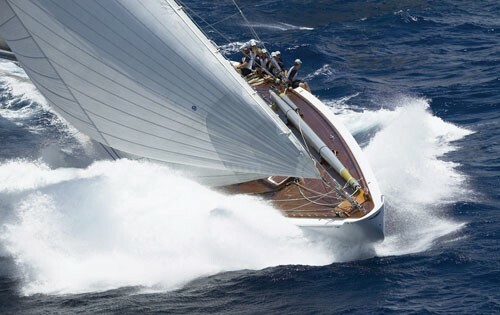 RANGER features the same hull and construction as the original RANGER from 1937 with the obvious exception that this RANGER has an engine and all the amenities of a modern day 50m motor yacht. 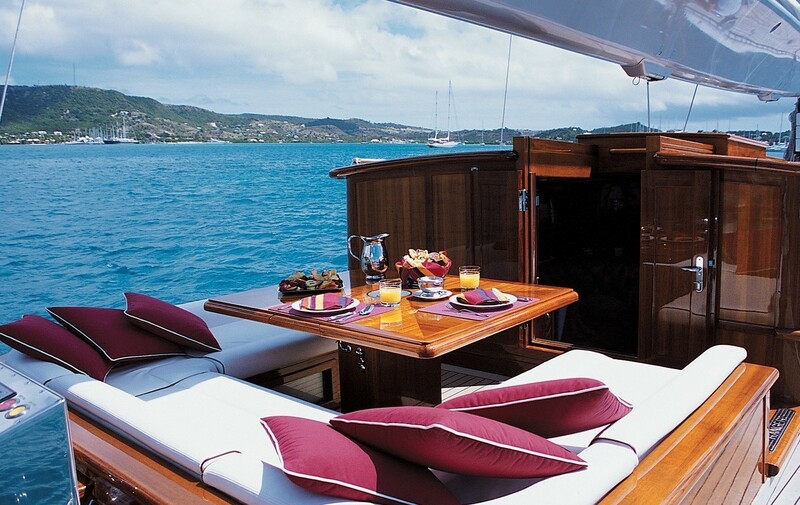 S/Y RANGER’S Salon features a formal dining table to starboard and leather seating to port. 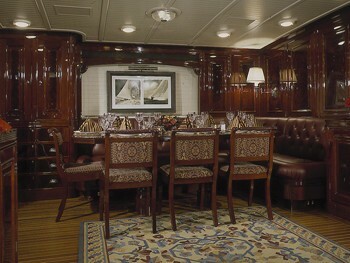 This is a cozy area with rich fabrics and a homely feel. 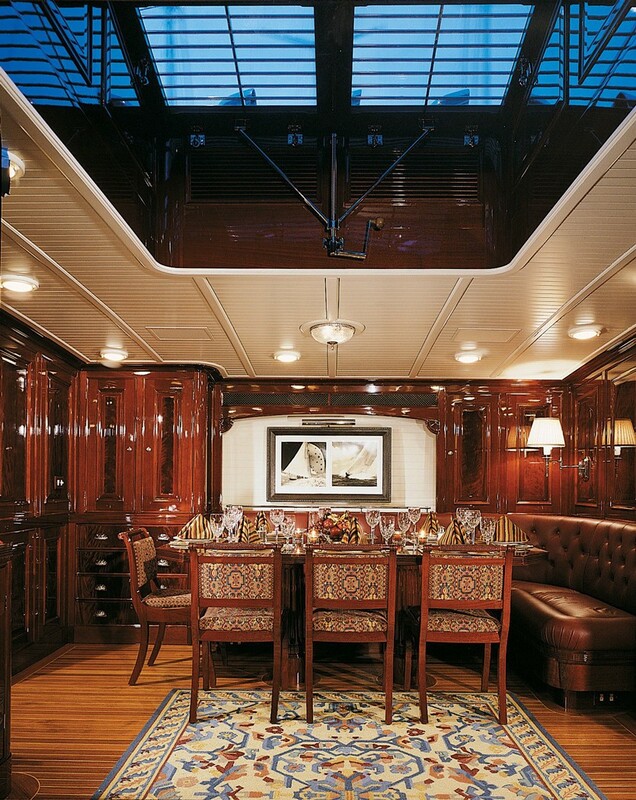 Forward of the salon through a water-tight bulkhead is the galley to port and the crew dinette to starboard. 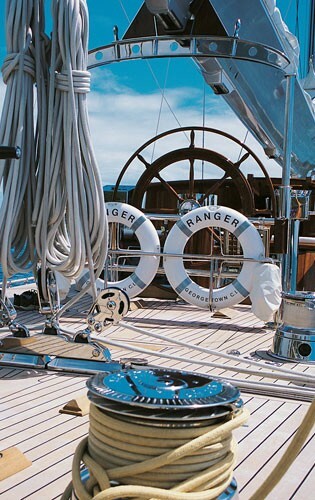 RANGER’s interior is fitted with the material Nida-Core which keeps it light. 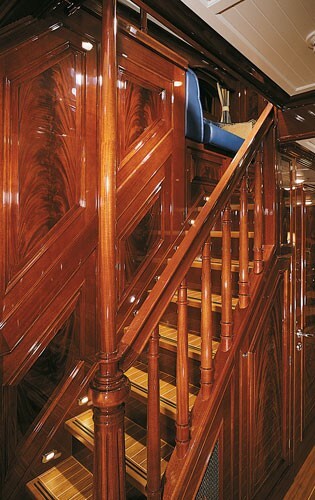 Over this state of the art foundation, is the finest of old world craftsmanship featuring flawless gloss finish over raised mahogany panels with crotch cut flamed mahogany centers making for a high quality and impressive interior. 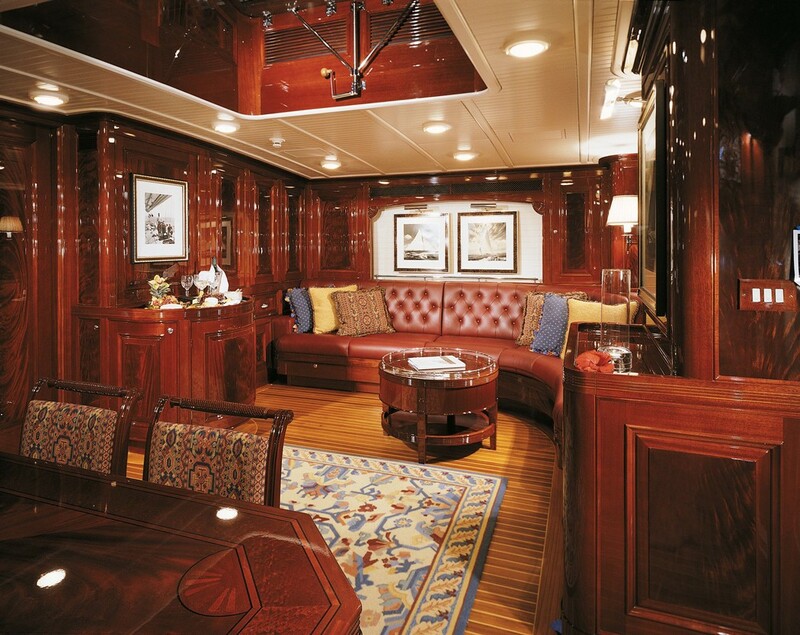 RANGER’s interior was built in Sardinia and then shipped to Skagen, Denmark for her installation. 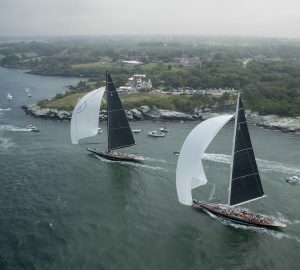 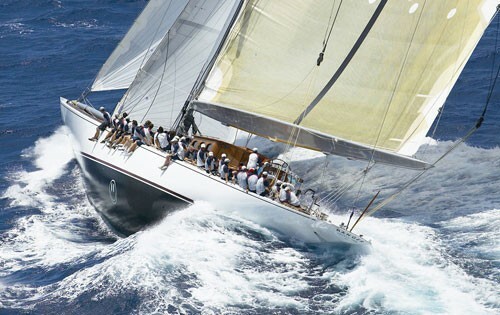 RANGER offers the best of both worlds with top performance and exciting racing not to mention an interior and amenities comparable to the finest, bigger sailing yachts and motor yachts. 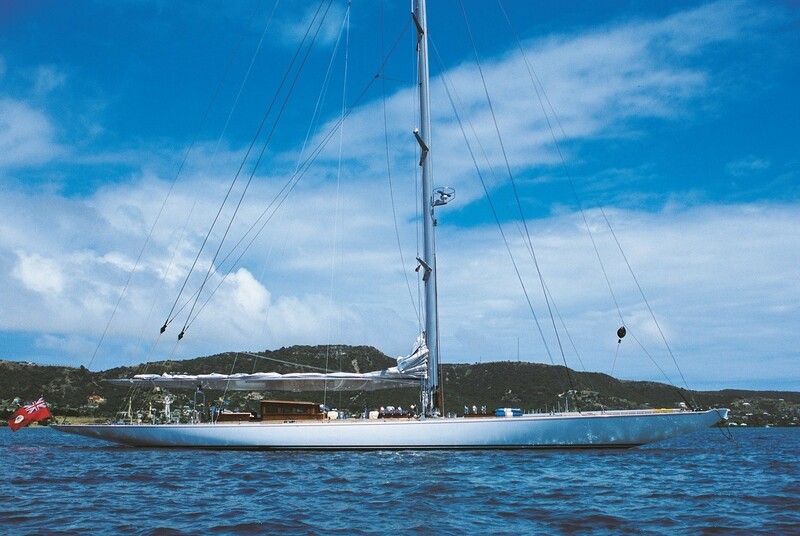 S/Y RANGER has accommodations for eight in 4 cabins with 3 heads. 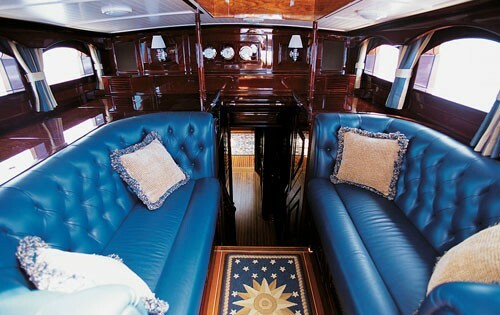 She can sleep 10 guests if the pullman berths are utilised. 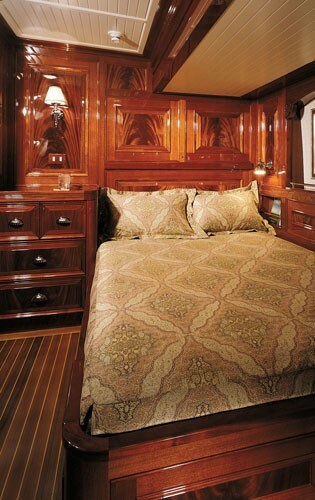 The Master Stateroom has a walk around king bed, ensuite with head, sink and shower. 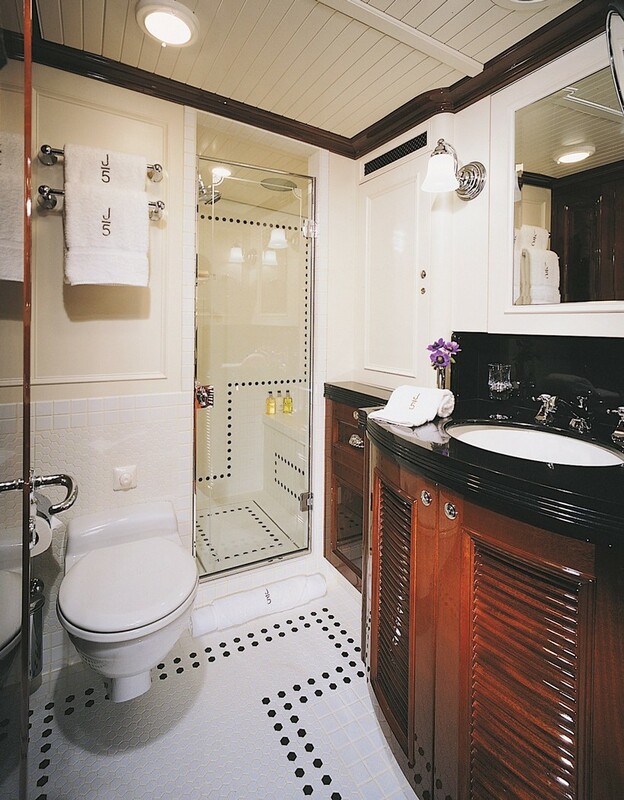 The Guest Stateroom on the Starboard side ahs a double bed with a hidden Pullman overhead, ensuite with head, sink and shower. 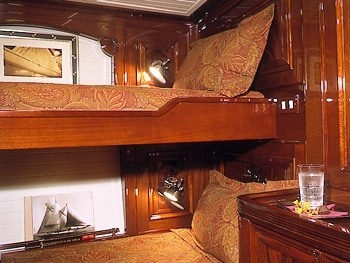 The 2nd guest Stateroom to Port also has a Double bed with a hidden Pullman overhead. 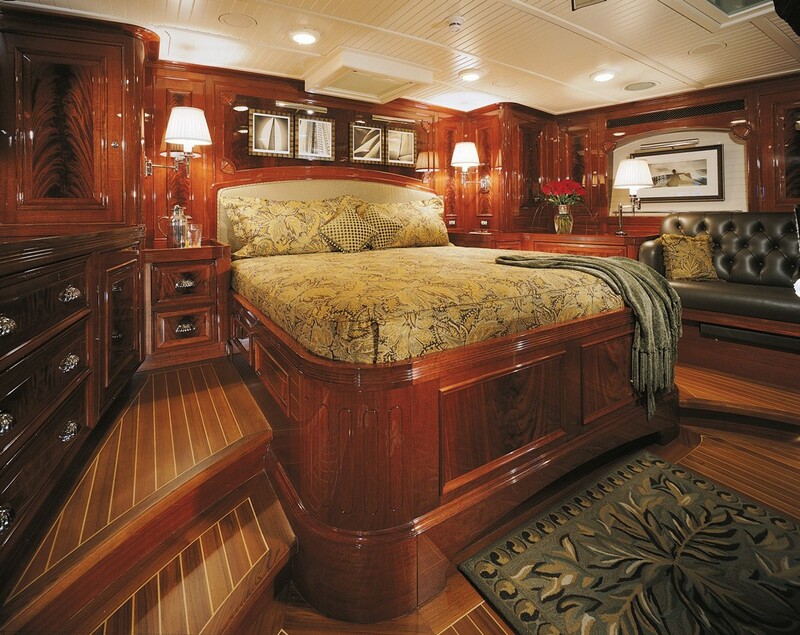 This cabin shares head with the 3rd stateroom. 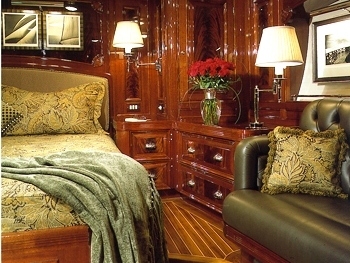 The final cabin to port has an upper lower bunks and shares the head with Stateroom 2. 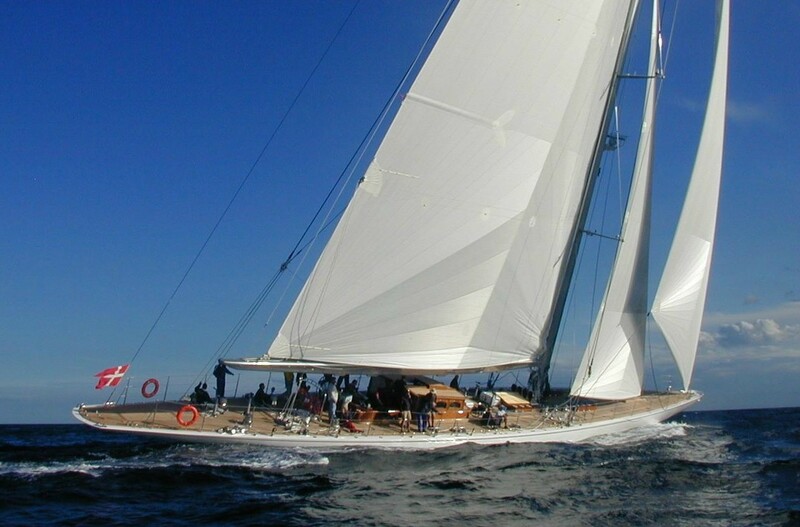 Sailing yacht RANGER has the following Tenders and Toys: A 15’ Zodiac tender with 50hp Yamaha outboard, Water Skis, Mares diving equipment and Snorkelling Gear. 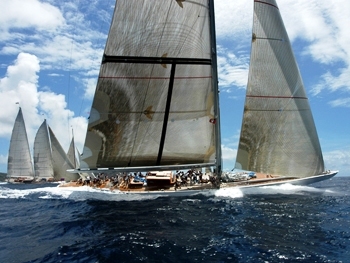 Communications include a Furuno Felcom 12 Inmarsat C, KVH Tracphone 252 Satcom Mini-M, Ericsson F2412m Maritime Cell Phone System and a Computer, printer. 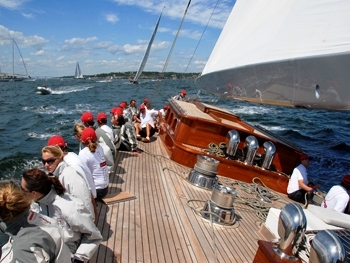 Audio Visual Equipment and Deck Facilities include a Keleidescape Central Audio and video equipment, Laundry Equipment: Miele Washer and Dryer.